You can never be too safe when it comes to grilling on your outdoor grill. 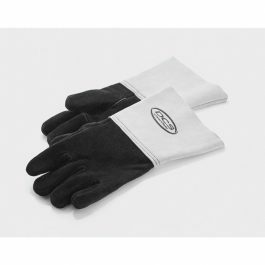 You are going to be working around a lot of hot stuff so you need to protect your hands with a good pair of grilling gloves. These leather grill gloves are designed to last so you are never without protection when you are out on the grill. Get your pair of grilling gloves here.